REFRAMING SPECTATORSHIP ist eine interaktive/interpassive Video- Soundinstallation für zwei Bildschirme, einen applaudierenden Zuschauer und ein Beobachtungssystem namens Publikum. Der Zuschauer wird in eine Meditation über verschiedene Beifallsituationen verwickelt, während seine Bewegungen und Geräusche verstärkt übertragen werden. „Reframing audience“ macht die Geste der Bewertung und Affirmation selbst anschau- und erfahrbar. Die Installation untersucht anhand der Geste des Applauses die „Performance des Zuschauers“, deren eigentlich aktiven und produktiven Charakter. Inwiefern lässt sich nur durch Applaus bereits die Fiktion von Präsenz und Ereignis erzeugen? 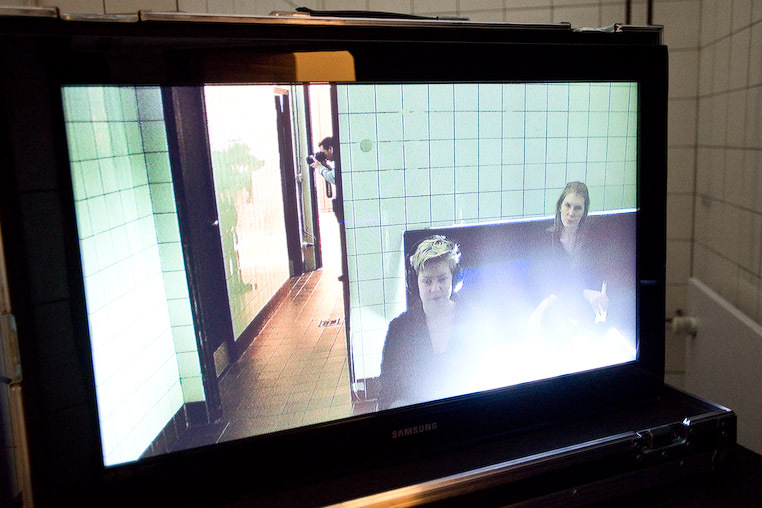 REFRAMING SPECTATORSHIP is a interactive/interpassive video- and soundinstallation for two screens, an amplifying system, an applauding spectator and an observing system called audience. 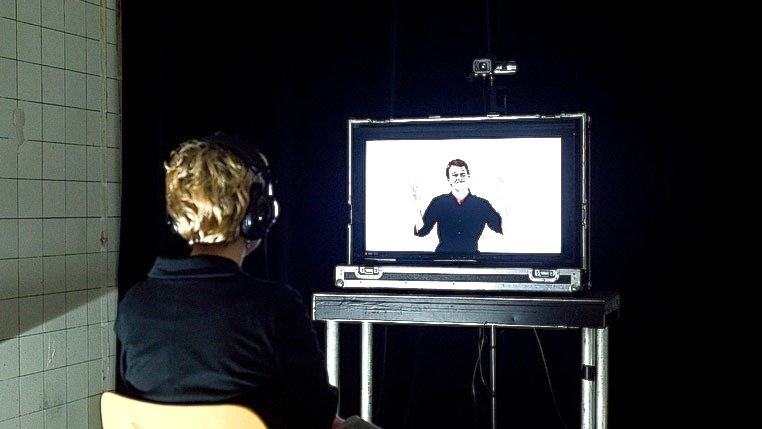 The spectator becomes involved into an audio/video meditation about the gesture of applauding, while his/her movements and sounds are transmitted via video and sound. „Reframing audience“ seeks to make the gesture of affirmation and validation experiencable and observable. The installation examines the „performance of the spectator“ – manifested in the action of applauding as an actually productive and autopoetic force to create the experience of the spectacular event.Is applauding enough to create the fiction of event and presence?